February 12, 2019 – The Macon County Animal Control and Care Center will hold an adoption event this Saturday where you can “Speed Date” a future pet. 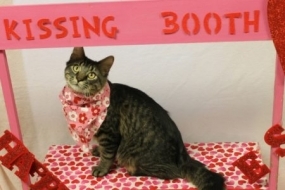 The event will feature refreshments and a kissing booth and adoption fees will be reduced. The event will be held from noon to 4pm.